William Optics' 2" nosepiece adapter will let you convert compatible William Optics SCT type diagonals into a standard refractor type diagonal without committing extra funds to a brand-new diagonal. With compatible diagonals, you simply unscrew the SCT adapter from the diagonal body, and screw this nosepiece on instead. 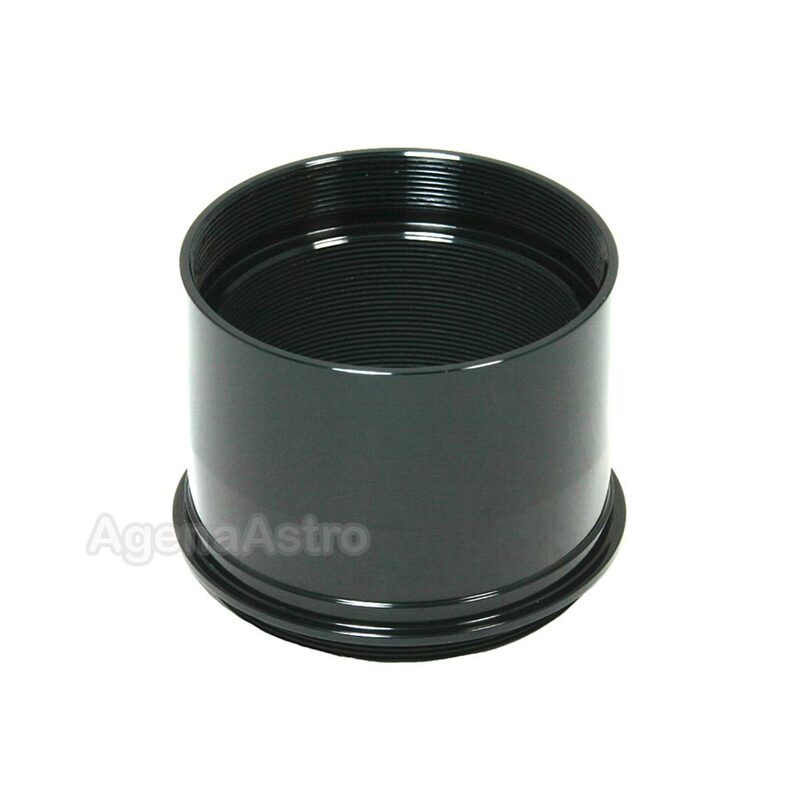 This adapter has a standard 48mm (M48 x 0.75) male thread on one side to connect to diagonal body and a standard 48mm (M48 x 0.75) female thread on the other side to accept 2" astronomy filters. There is no standardization in the astronomy industry for the threads used on diagonal bodies. Hence, do not assume that this adapter will work with your diagonal. Please check the thread on your diagonal body before ordering this item - we do not have compatibility information for all the diagonals out there. An easy way to do this is to unscrew your 2" diagonal nosepiece and try threading on a standard 2" filter. If the filter threads on, so will this adapter. An excellently crafted piece. Most of all however I appreciated the time an effort that your customer service person spent in making sure that it was a compatable piece for my equipment. The standard nosepiece for the 2" Lacerta Herschel Wedge didn't have an undercut and tried to swing my eyepiece to the concrete. This WO nosepiece is a perfect fit and insures that this heavy diagonal (due to the heat shield) is secure and won't move. A suggested part of a Herschel Wedge kit. Review by Bob of OKC. Bought this so I could use my WO diagonal with a Baader Clicklock. Quality piece of hardware as usual from William Optics.